„Tapetenwechsel - Change of Scenery“! 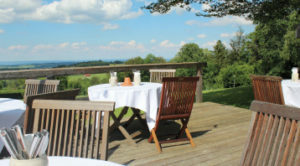 Enjoy an excellent view: into the Blue Land and the Pfaffenwinkel, to the Staffelsee and Ammersee. No wonder, at this idyllic location at 900 meters above sea level, above the village and directly at the chairlift on the mountain “Hörnle”. This video shows the great location. Stay in cozy and quiet rooms, enjoy good and healthy food with regional and seasonal specialties, relax with wellness in the spa area or with a well-being massage – you will experience a successful break at the 4-star hotel Schillingshof. Welcome in Bavaria and in the Ammergau Alps! Your team of Hotel Schillingshof. Why not leaving the city and experiencing pure nature with us! Relax or active – holiday couldn’t be more varied. All rooms in the Hotel Schillingshof – we are a non-smoking hotel – are not only very quiet, they usually also have a fantastic view of the Bavarian foothills of the Alps. Here you will feel comfortable and in good hands. 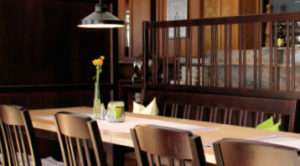 The cuisine of hotel Schillingshof is formed by tradition and creativity. This is the credo of chef Wolfgang Gessl and his team. Our guests enjoy the culinary delicacies in the modern restaurant, the Bierstube in Brauhaus ambience or in the cozy Kaminbar. For celebration with a small group our bookable wine lounge is available. We welcome you in our new and modern restaurant with Bavarian pub culture. The Schillingshof has a long tradition as a host, already in 1832 the first building stood as a farm, after the First World War rooms were rented and guests have been served for 70 years. We also want you to benefit from the best service. 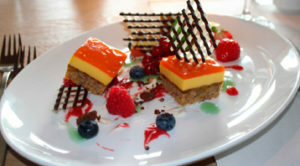 Our rich menu offers you regional, international and seasonal dishes, which our creative chef team will prepare for you. This is how our “Bierstube“ as part of the Restaurant feels like. A Brauhaus ambience awaits you with hearty Bavarian delicacies and snacks. Enjoy a hearty snack – rich cheese selection from Ettal Monastery and Bavarian sausage specialties or pork roast with crust and dumpling. We go in for local products according to the seasons and use no adding flavour enhancers. On our menu you will find traditional Bavarian and German food that varies according to the seasons inspired by international cuisine. The ingredients of our Ammergauer Landhausfrühstück are locally grown, healthy, fresh, vital and strongly flavored. There are specialities as Faller Marmelade (jam), honey and dairy products from the Ammergau region. You will find both a vitality corner with Faller Müsli, oat you can grind yourself and something savoury with eggs, fried bacon and sausage products bought at the local butcher’s. 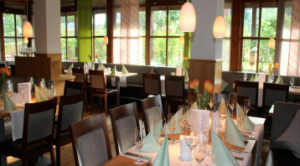 Buffet lunch and dinner/standard menu or from the menu card – just enjoy the Bonne Bouche of Hotel Schillingshof. We look forward to welcome you in our restaurant or in summer on our sun terrace with view to the Hörnle, “our Hausberg”, the mountain in front of our door. Stille Rückzugsbereiche und Freisitze mit Ausblick! Immer wieder sind wir kreativ, um auf unserem großzügigen Gelände Plätze zu schaffen, die anregen und entspannen. Lauschige Sitzgelegenheiten – verträumt und blumenumrankt oder Freisitze mit fantastischem Talblick ins Werdenfelser Land. Lassen Sie sich von unserer eindrucksvollen Landschaft inspirieren und genießen Sie! Conference & Meeting with Perspective. You are in good hands with us! 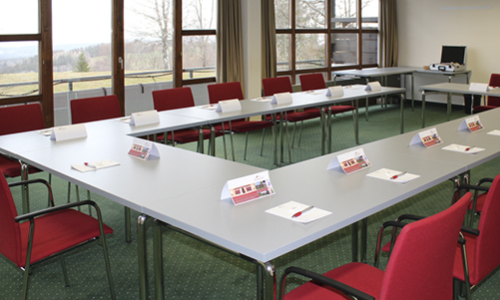 Whether intensive workshops, seminars or conferences, we help you prepare and ensure a smooth process. You can get a different view of the enchanting landscape and enjoy it. AroundBad Kohlgrub are 90 kilometres of walking trails, above all the hiking tou to the “Hörnle”, the closest mountain to Bad Kohlgrub which is right infront of the door. From there you will have a fantastic view sometimes youcan even see far up to the city of Munich and its surroundings and also to te mountain Zugspitze. Walking is one of the most beautiful ways to enjoy nature, during all seasons. In spring you can see the rebirth of wildlife, in sumer experience the long warm days in pleasant mountain air, the wonderfl play of colours and the splendid panoramic view in autumn, or in winter “a dream in white“. As the Ammergau Alps are member of the association “Best of Hiking“ there are GPS trails, a variety of good precise maps and plenty of unspoiled nature . What about a hiking tour to Schleierfälle or Scheibum for instance. Just discover the splendid view f the Ammergauer Wiesmahdweg or walk along the “Kraftwege” ways of power, a nature experience which also stimulates your spirit. Hike through the Ammergau Alps. Just ask and we can help you plan your tours or organize a guided tour for you. You ca find a number of world famous sights close to Hotel Schillingshof.Oberammergau – a broad range of culture and tradition, a successful mixture of love to the own country and cosmopolitan hospitality, where the masterly traditional Bavarian freco paintings , prosperous arts and crafts, cosy restaurants and cafés are a temptation to stop. Up to a vow every ten years the inhabitants of Oberammergau perform the renowned Passion Play for the first time in 1634. The next Passion Play will take place in 2020 (By the way in 2010 about 2500 of 5300 residents participated on and behind the stage, among them 500children). Creative flair in Oberammergau – Let yourself be enchanted. The famous Abbey of Ettal a Benedictine Abbey, which was founded in 1330 by the Emperor Ludwig of avaria is only 15 km from Bad Kohlgrub. The minster is an imposant domed structure from the 18th century. The Schaukäserei, a cheese dairy to watch, just next to the Abbey is also worth to be visited. You can try and eat delicious cheese, yoghurt and curd cheese made of the high quality milk from the region. There is plenty to discover: Bad Baiersoien, our neighbouring village with the idyllic lake called Soier See, Unterammergau the village of grindstone makers and carvers, charming Graswangtal, Murnau and te Staffelsee, The Pilgrimage church of Wies, one of the most gorgeous churches of Bavaria in baroque style, the monastery of Wessobrunn in the midst of Pfaffenwinkel, the castles of Ludwig II and many many more. During a relaxing trip to the top of the Zeitbrg by the overhead railway to the mountain Hörrnle you can leave everday life far behind and “under” you. In the different time zones (stations on the circular trail) in the Hörnle area you can enjoy a great view and tranquility. Either on the seats of the world number one 3D atural movie, or in the reading corner, or on a massage lounger or in a mud bath. Its mainly water of the Linder seeping away in the West of Graswang that comes to the surface as so called plunge pools, rising bubbling water holes. It doesn’t take long and the spring fed pools turn into two little brooks which unite to the little river Ammer “Kleine Ammer”, which then winds in various loops over the low moorland of the Ettal basin. In the wide stream bed of the big river Ammer “Große Ammer” it then flows into the North. There is a small gem on the heights above the village Saulgrub. From there you can overlook the complete northern Ammer Valley. This small votive chapel was built by Josef Leismüller. When in 1939 as a young man he had to take part in the second World War, He vowed to build a chapel in the case of coming back fom the war in good health. After 5 years as a prisoner of war in Minsk he came back home to Saulgrub. Another 4 years later he went on Pilgrimage to the Portuguese pilgrimage church Fatima. From there he took a statue of “Our Lady of Fatima” to Saulgrub. He stood up to his oath now and started together with a mason who was his friend to build Fatima Chapel hich was consecrated on 12th of September in 1954. During the course of ages changing climatic conditions formed first the low moorlands with moss, grasses, bushes and trees. Plants didn’t rot in the oxyen-deprived and acid water of the lakes left by the glaciers but turn to peat. The lakes gradually silted up and the mud grew layer by layer. At all times the inhabitants of Bad Kohlgrub have been usin the mud according to their purposes. In former times the mud and turf pieces had only been used as heatng material. But since 1870 the precious mud had become a remedy because of its natural healing effect. The mud’ s integral healing power animates metabolism and blood circulation, acts on hormone regulation, strengthens immune defense and ensures deep relaxation. About 120.000 years ago (top moraine area) after leaving the Alps the Ammer found its way to the North. By this a fascinating gorge of the Ammer has been formed. It is situated between Altnau and Peißenberg. Here, approximately 15 km from its source, the river created this impressive gap in the rock called Scheibum, which is 600 m in length and up to 80 m deep. I has already been under nature protection since 1949. That’s why the Valley of the Ammer is one of the most beautiful and most natural finish river valleys in the Northern limestonealps. The moorland water of the lake is gentle to the skin and good for the body. The little lake is situated in Bad Bayersoien, a mud spa. It heats up quickly in spring and even in summer it’s never overcrowded. The nature trail around the lake is a highlight for the young. But not only children but also adults can learn a lot of willife in a playful way while swimming and njoying the sun. On the south side of “Soier See” there is the bathing area with a kiosk, a large lawn for sunbathing and boat rentals. Whether for relaxing or for active sports, our sauna and swimming pool landscape offers something for everyone. Healthy sweating in the 90 ° hot colored light sauna with infusion crystal – or soothing relaxation in the 65 ° warm organic herbal sauna. Our recommendation: treat yourself to a refreshing dip in our spacious 16-meter-long panoramic swimming pool and enjoy the great view into the garden and the wonderful view into the Blue Land, from one of the resting places waiting there for you. The places of power around Bad Kohlgrub will help you to gain new energy. The Meiation Trail, dedicated to “the Burning Heart”, invites you to combine iking and meditating” The Trail was finished in summer 2009. It leads accoss 15 stations starting from the Pilgrimage Church of Wies to the park of Linderhof Castle. Hiking in this mediation trail can be a break from your everyday life. Discover sources of power like the Schleiefälle or enjoy the overwhelming view form the Hörnle peaks. From here Hotel Schillingshof and the pleasure of being pampered is within easy reach. Strengthened your Ammergauer Landhausfrühstück , a breakfast consisting of a generous choice of local poducts, it is up to you either to go on walking or to go on recreating and relaxing in Hotel Schillingshofin the Ammergau Alps. Further information on the trail you can get a our reception desk. The Ammergau Alps offer the perfect trails for both mountain bikes and trekking bikes. Even professional athletes do their training here. Various tournaments such as the Bavarian Championship of Cross Mountainbiking or the Tour Transalp are carried out in our region. Hotel Schillingshof has cooperated with Ammertal Sportiv for some years. Therefore we offer you to store your bike in our basement, our washing area, boarding for your tours, and of course a lot of tips where to go, route plans, maps and GPS trails. You can rent mountain bikes or e-bikes with us. or your own safety we recommend you to bring your own safety helmet, if you have one. Back from your biking tour in the surroundings you can loosen up your muscles with a relaxing massage of your calves. You are taught history and told stories by the impressing wood carvings and religious works of art exhibitedin this museum. – The art of wood carving between tradition and modernity. The house named House of Pilatus is probably Oberammergau’s most famous bulding decorated with the colourful and attractive frescos known as Lüftlmalerei that adorn the façade of the house. The name of the house derived from the painting by Franz Seraph Fing on the south side of the house. In “Pilatushaus” you will find the “Living Workshop”, an exhibition of reverse glass paintings and a small shop. You can learn more about Dwight David Eisenhower and what connected him to Oberammergau in an entertaining guided tour through the museum. In the former frster’s house in Unterammergau is the “Wetzsteinmuseum”. It tells everyhing about the old craft of making a whetstone and the way how a simple stone was turned into grindstone. The Schlossmuseum focuses on 20th century art and literature of international importance, that is associated with Murnau. In addition you get information on the local tradition and cultural life of Murnau, which was closely connected to the artistic works. The museum is the largest open air museum in South Bvaria. You get a comprehensive insight into rural everyday life of Upper Bavarians, their building culture and their way to work 50, 100 and even 200 years ago. The museum founded in 1986 is dedicated to the work of Franz Marc. The so called “Aussichtsturm” (viewing tower) offers not only the works of Franz Marc but also a new perspective to the surrounding mountains. In Penzberg pitch has been mined till 1966. After the coal mine had been closed the former miners built the museum as a place to remember. Here they stored their original tools and working equipment, together with papers and photos.